Some Nigerians on Facebook are wondering how they can be so happy amidst extramarital affair scandal while others believe the photos were staged for propaganda. However, others supported Suleman and prayed for the prosperity of the couple’s marriage. Dede Don: "We love you pastor for standing for the church.. The Lord is your strength, the devil is a liar.. Shame on you Hausa/ Fulani.. Your Jihad plans is exposed to the world." Ukasha Muhammed Auwal: "Apostle sulaiman is nothing but a scam these were his prophecies, none of them came to pass, he even forgot to prophesized about Otobo and Danielle." Martin Samuel: "If is truth that apostle Suleiman happened to engage in such activities doesn't change anything in Nigeria recession wahala." Emmanuel Njika: "Wow i pray god to give me a wife like Di's pls lord .. CU's with d whole drama she still by him may u couple age with grace .. That is d different between pastors and all this actor's or actress." Temitope Yetunde Alabi: "Let them dance now. Afterall he was not accused of defilement, those actions took place between two consenting adults according to the ladies. I wonder why those ladies should be saying those things, I guess people now get trophy for sleeping with men in high positions once they bring them down. Jobless ladies." Okara Ngozi: "Why re ppl condemnin d man of God,even if he did,who are we to judge him.God is the only one that can take decision on this matter." Emmanuel Salihu: "The devil is on rampage to destroy and discourage people about gospel of Jesus Christ... We Christian can never subscribe to Stephanie and her cohort...Let Apostle Suleiman be! Could the blackmail coming as a result of Apostle Suleiman position over southern Kaduna Christian genocide?" Kash Lee: "Thou they fight against us but they shall surely not prevail... Evil can never comprehend good. God bless and prosper your family the more." Stephen Bridget Osaji: "Dance to d glory of God and to d shame of ur enemies. Scandal is normal tin dey use to destroy and kill d spirit of.men of God but u decided to dance all d evil plots away bc, in ur shame God will give u double honour." Sylvanus Okwunodulu: "Just observed that majority of the people in support of these allegations that are yet to be established against the man of God came from a particular section of the country, probably because he spoke out against the devilish and inhuman activities of herds men. This lends credence to the fact that he is being blackmailed." Kana Rahab James: "You think it affects God's plans for their lives? Hehehehehehe, that's the difference when someone is a true man of God! Such is even needed to strengthen their faith and ministry!" Aggrey Anthony Akalaka: "I don't understand why their is so much effort by suleman and wife to tag this a religious war. From a physiologist view their is so much effort to pretend this is not affecting them but on another hand Lizzy spends time on a press conference." Ayodele Gideon Olusegun: "A great woman he has, not many women would do that even after confirmation that it's not the truth, suspicion will still be there." Stanley Amadi: "I expect him to do the need full, just like Bill Clinton, he should accept his fault after all, he is human. what that matters now is his wife and his church members, who seems to be be solidly behind him. the evidence coming out right now is too strong to wave aside." 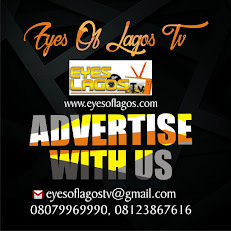 Solomon Adedibu: "Yes let him dance because it is the enemies that get the wahala even if he had extra marital scandal, the the wife complain?" Olawuyi Samuel: "All this are lies from the pit of hell... Why are this coming after He spoke as a voice for Christians in Nigeria... This is a political and religious setup. Their aim is to tarnish his image and make that to shot his mouth from further exposition of their dirty deeds. More grace Papa,I believe God in YOU." Fatai Anuoluwapo Aribisala Ibrahim: "Dancing for what? For show,no doubt! 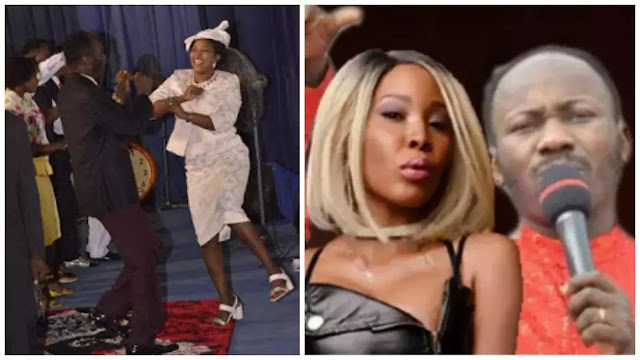 Anyone that gives the apostle a close look will see that he has lost a tooth because the wife hammer his mouth with a pestle when they were having katakata that was caused by this Stephanie Otobo affair." Bishop Ukandu: "Tomorrow now she will recant like Tontoh Dike.. I love their jubilation.. If only all the women in Nigeria will do same when their House help or friends accuses their husbands of similar acts Like Apostle Suleiman!"